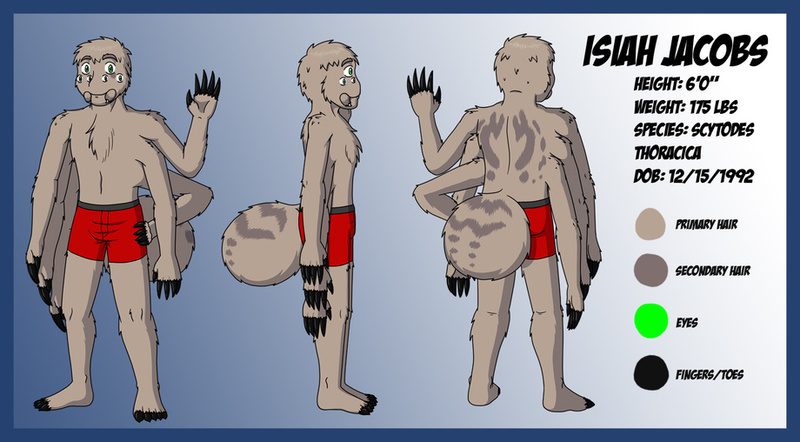 A reference sheet for his fursona thing. He's a spitting spider! How zany.